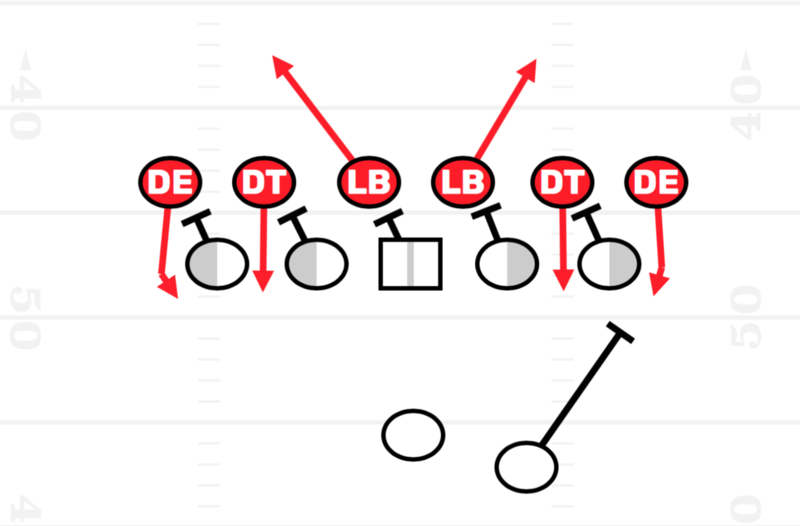 USA Football’s Seth Galina posted an informative article this past week detailing some of the ways to mug your linebackers in the A gap as a starting point for our base defense. 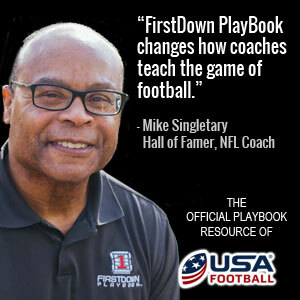 He goes on to explain how this is not only a way to free a rusher up to the quarterback every now and then but it can also have the offensive line blocking “ghosts” if you do it correctly. Blitzing is fun. It drives offensive coordinators wild and if there is anything that defenses want to do, it’s drive OC’s crazy. From college to the pros, defensive coaches just can’t quit the double A gap pressure. It’s a way of terrorizing opposing offenses. Adding this look to a game plan requires a progression plan. Offenses will have answers to these pressures, so the defense will have to have counters to those protection adjustments as well.